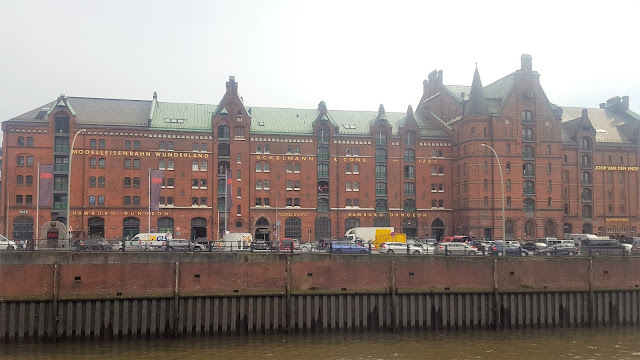 I love researching & thoroughly planning our trips when arranging family travel abroad, so I had done plenty of homework prior to our visit to Hamburg. 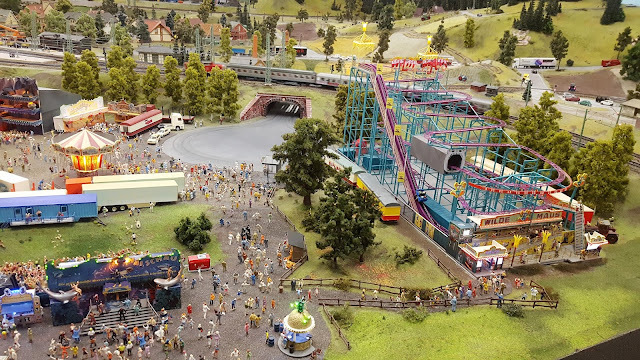 The Miniatur Wunderland came highly recommended on several other blogs as well as being voted the number one attraction in Hamburg on Tripadvisor. My first instinct was "How interesting could a collection of small things be? ", but as I soon found out, the answer is VERY interesting. 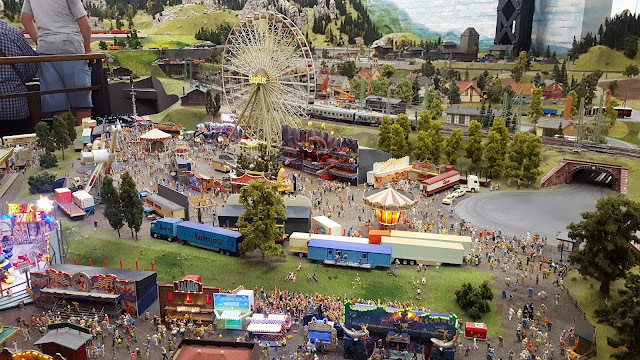 Miniatur Wunderland is located alongside the River Elbe and is easily accessible by public transport. We caught the U-Bahn to Baumwall station and the attraction was only a short walk away. 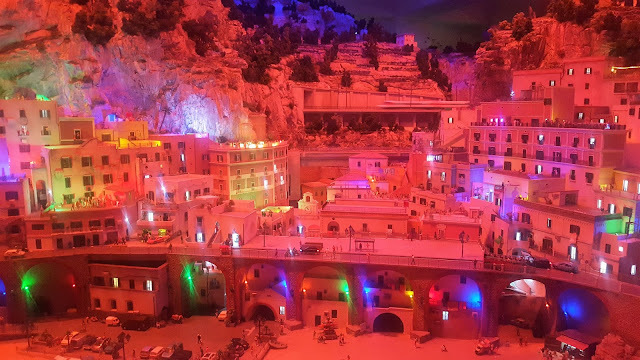 It is home to the worlds largest model railway and features an extensive collection of miniturised countries all displayed in an amazing and unique way. It first opened in the year 2000 and is not expected to be fully completed until 2028. I knew from visiting their website beforehand, that the attraction can get extremely busy and sell out of tickets at the most popular times. As Riley is not the biggest fan of queues, we decided to visit in the afternoon at around 3pm and found that we were able to walk straight in with no queue at all. The attraction was busy inside, but not overcrowded and we were able to view the exhibits with no issues. We were a little unsure as to what to expect, but as soon as we entered the Miniatur Wunderland, we were overwhelmed by the sheer size and appearance of the displays. The first display that we saw was that of Hamburg itself. It featured a few familiar sights, that we had already spotted on our travels, whilst the kids were quick to point out the Hamburger Dom, which was our next planned visit of the day. The attention to detail was fascinating and each area also featured buttons that could make some of the displays move or light up. 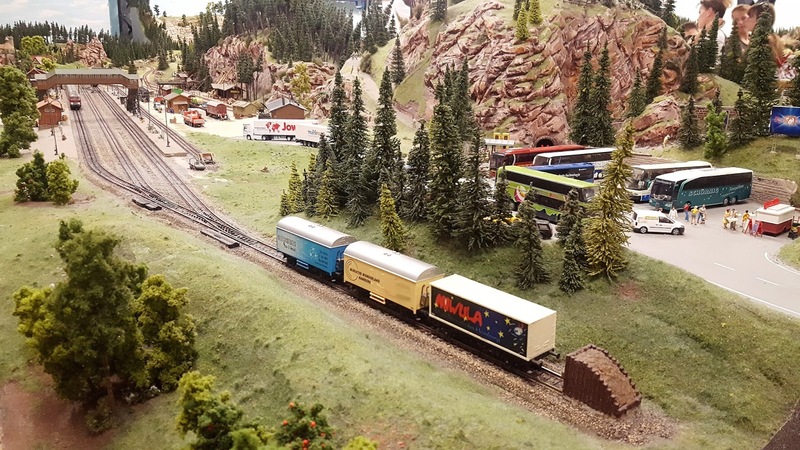 Riley loved watching all the trains journey around the exhibits and we were shocked to find that as of Autumn last year, there are a staggering 1040 trains in total, in addition to more than 10,000 wagons. The longest train measures in at 14.51 metres and the total track length is an astonishing 15,400 metres. The figures involved really are incredible. Each exhibit has been meticulously planned, with even the slightest of detail being taken care of and included. 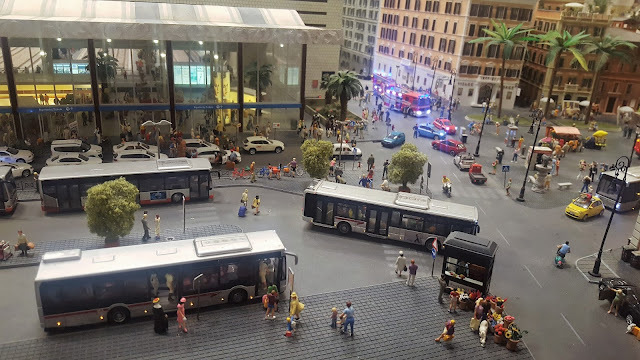 We could have easily spent hours just looking at all the individual people and situations that the exhibits had created. The planning and design of each area must take so much time, to get things just right and accurate. My favourite exhibit was the Swiss area, which was spread over two storeys. Having visited St Moritz earlier in the year, the kids enjoyed spotting the Glacier Express, which they had travelled on back in February. 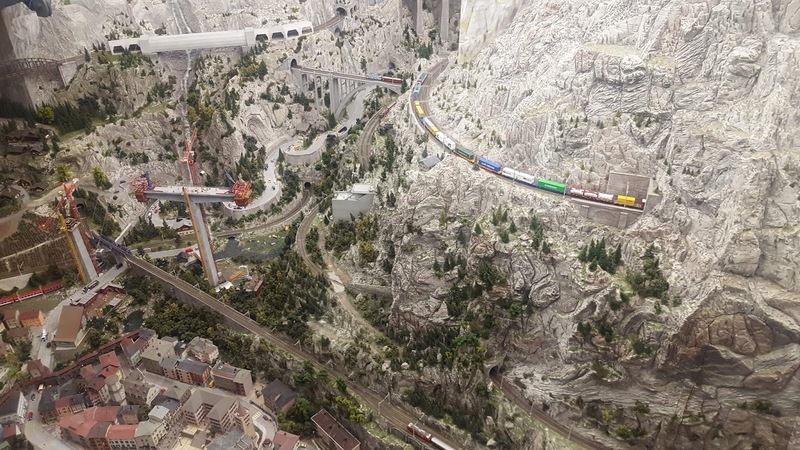 The whole display was amazing and we watched whilst numerous trains took their journey around the mountains. Another of our favourites was the airport, where you could watch planes arrive and take off on their journeys. The exhibit was complete with an arrivals and departures board, just like in a real airport and it was fascinating to watch all the planes move around. Another interesting aspect of the attraction, was that every so often, the main lights would dim and the exhibits would display as if it was night time. Small lights would glow in the houses and it was great to see the towns and cities from both a daytime and night time perspective. In addition to all the wonderful exhibits, there was also a working area, where you could watch staff at work creating miniatures, as well as the control centre, where there were staff monitoring all the displays on screens. There must be an incredible amount of technology involved in producing these spectacular exhibits. In addition to the main attraction, there is also an on-site bistro that offers family friendly prices for meals, drinks and ice cream. We didn't eat here, however the food that others had, looked really nice and the menu seemed varied and well priced. There are toilet facilities, as well as a baby changing station & I did notice that the bistro staff were also happy to warm up baby food, all of which help to make it a nice family friendly attraction to visit. Overall, we had a really enjoyable visit and would definitely like to return again. We were told to allow around 2-3 hours for our visit, however I think I could have easily spent the whole day here just taking everything in. There are plans for the attraction to continue expanding up til 2028 so it will be great to return in the future and see what new additions there are. 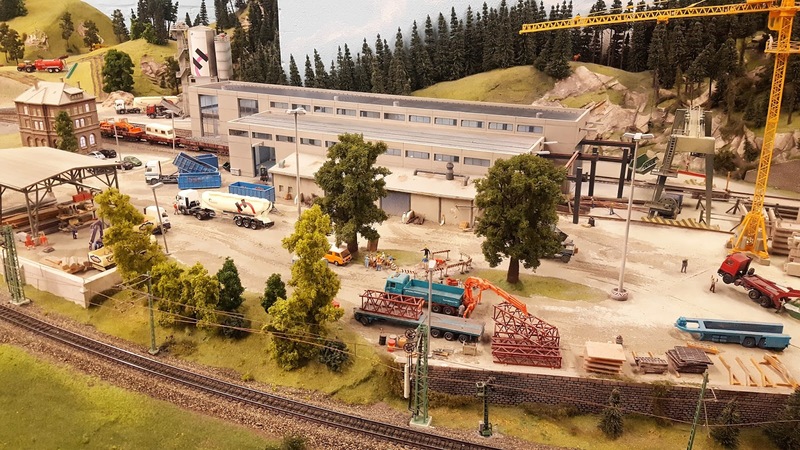 Opening hours: Miniatur Wunderland is open 365 days of the year. Opening times vary throughout the year, so would recommend checking their website here for the most up to date information. Admission price: The most up to date admission prices can be found on the Miniatur Wunderland website here. Disclaimer: We were provided with complimentary tickets for the purpose of providing an honest review of our experience. All opinions and photographs are my own, unless otherwise stated.